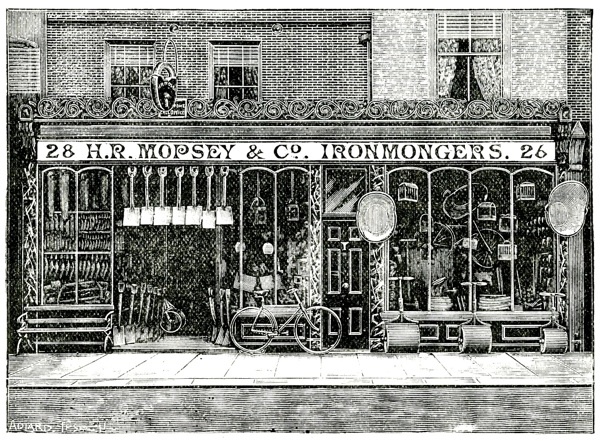 Messrs H R Mopsey & Co, Ironmongers, High St, Wandsworth – Founded in the year 1840, this firm embodies all the improvements which the interim of half a century has enabled the proprietors to introduce and you will find the aspect of the firm’s handsome premises quite in accordance with the representative and leading position which the house has long occupied in this vicinity. 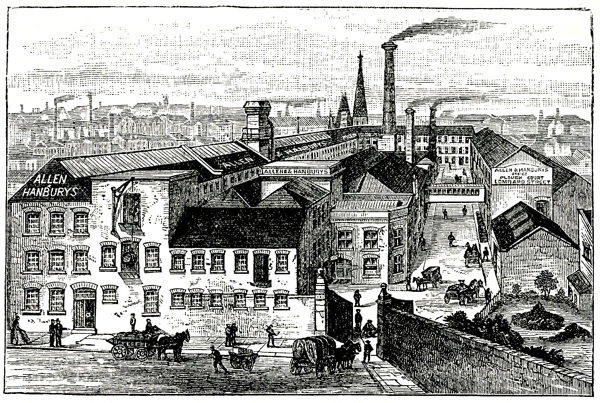 Messrs Culverwell, Brooks & Co, Brokers, Colonial & Foreign Hides, Skins, Leather, Furs, Taloow &c, Sunn & Toppings Wharves, Bermondsey - This is one of the most important businesses of its kind in London and it is still steadily growing in extent and importance. 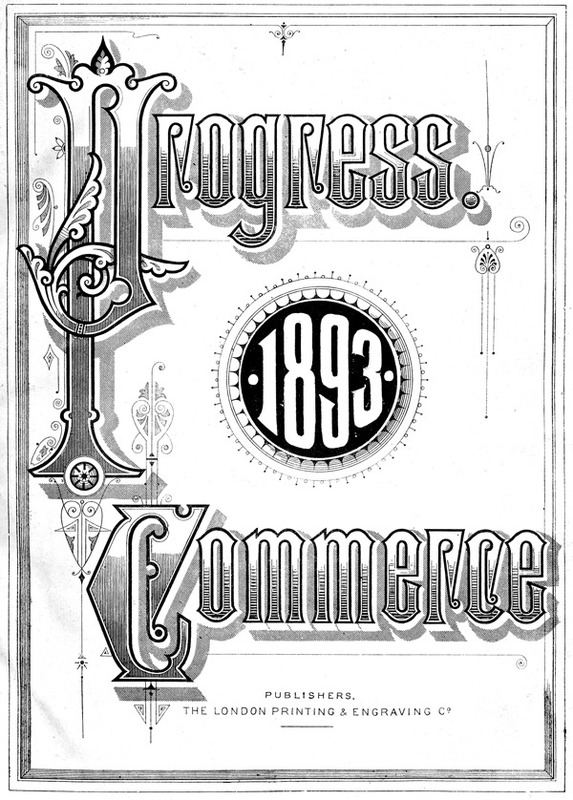 The partners are business men of sound judgement and marked enterprise, and are worthy representatives of the important branch of commerce with which they have been so long associated. 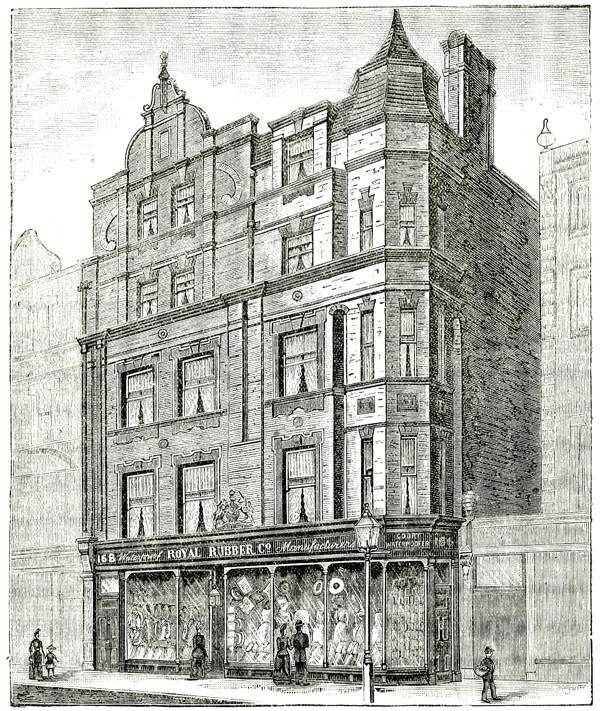 Messrs Morel Bros, Cobbett & Son Ltd, Importers & Purveyors of High Class Comestibles, Piccadilly - The extensive and mercantile concern now carried under the above title was formed several years ago by the amalgamation of two old-established and high class businesses long known in the West End. As purveyors to Her Majesty to the Queen, the Prince of Wales, the Duke of Edinburgh, the Duchess of Albany, Prince Christian and Prince Henry of Battenberg, Messrs Morel Bros, Cobbett & Son Ltd enjoy the most distinguished patronage it is possible to secure. 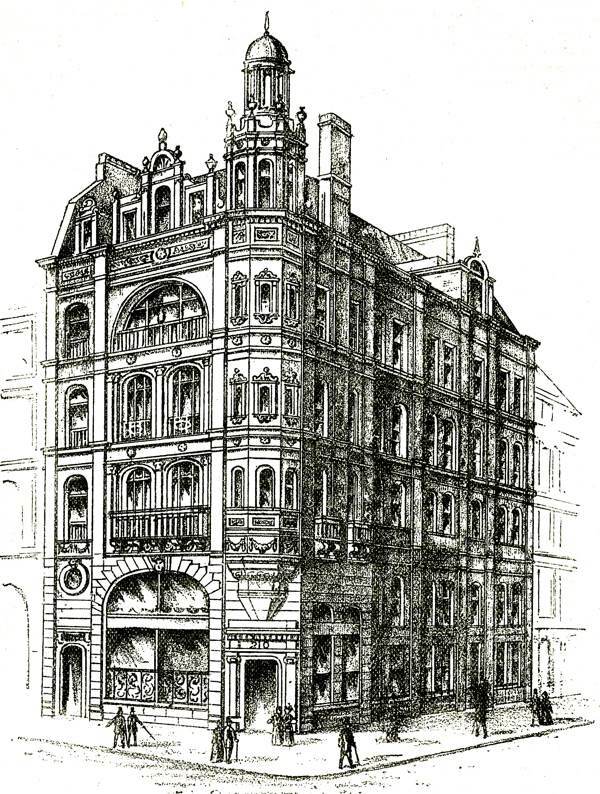 Jay’s Mourning Warehouse, Regent St - The last half century has witnessed in London the creation of a number of unique mercantile institutions predestined to win fame and play the part of leaders in their departments of commercial activity. Undoubtedly, no other firm will more readily occur to our readers as answering this description than Jay’s, which has conducted over fifty years that great mourning house in Regent St. Recently, this noted firm sustained a loss in the death of its distinguished founder Mr W C Jay. 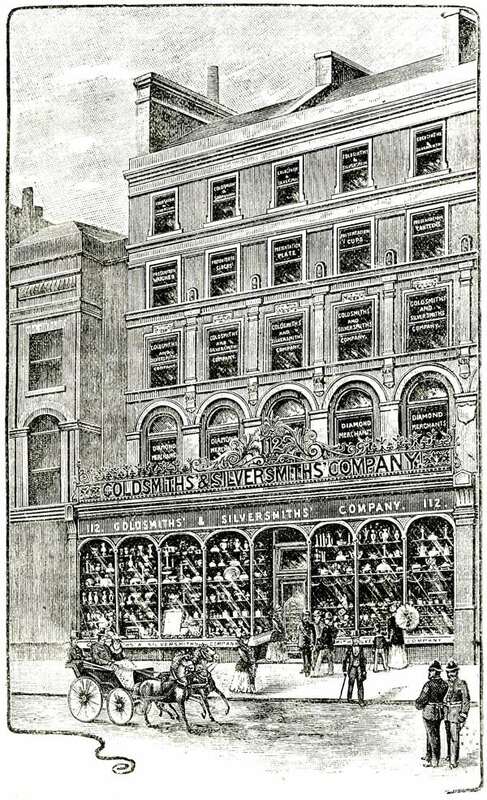 The Manufacturing Goldsmiths’ & Silversmiths’ Co, Regent St – Some of the finest business establishments in the world line the broad and fashionable thoroughfare of Regent St and the conspicuous feature in this brilliant array of shops are these showrooms with their unequalled display of beautiful and costly specialities. 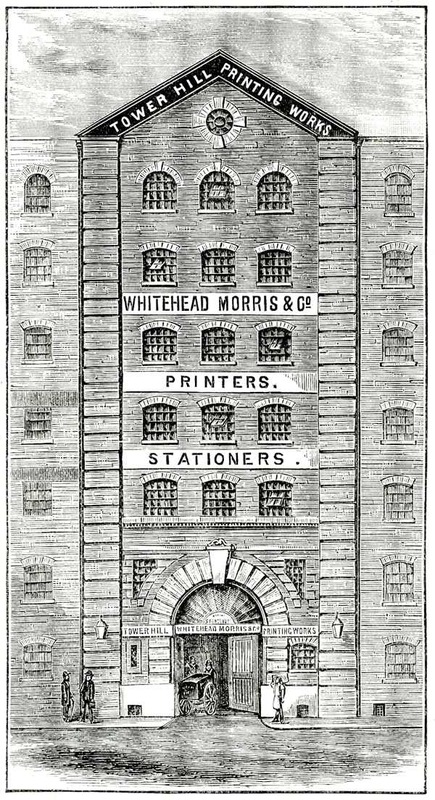 Messrs Whitebread, Morris & co, Engravers, Steam Printers & Lithographers, Bookbinders & Export Stationers, Fenchurch St - In connection with the printing and lithographing art industries which are so extensively carried on in the City of London, a prominent position has long been held by this well known firm whose name is identified with the production of a large variety of high class work. 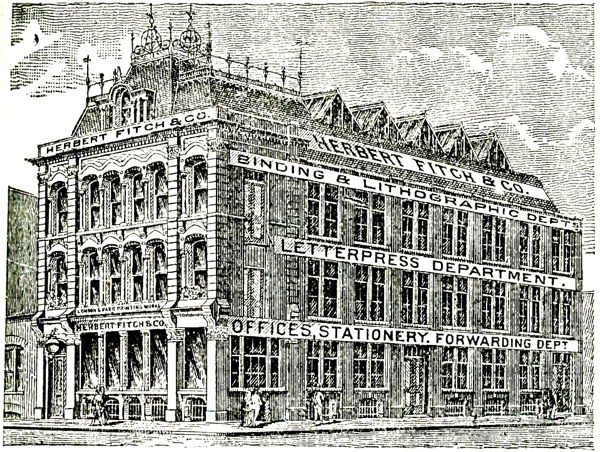 Herbert Finch & Co, Designers, Engravers & Colour Printers, Wholesale Manufacturers & Export Stationers, Specialists in Novelties for Advertising, Leadenhall St - In 1879, they erected this noble structure within which their trade is now carried on, and which forms one of the largest and finest printing offices in the City. Mr Herbert Finch is widely known in the trade and is thoroughly and practically versed in all its details, and he continues to take an active and supreme part in its management of the firm which owes its success and advancement to his energy and foresight. 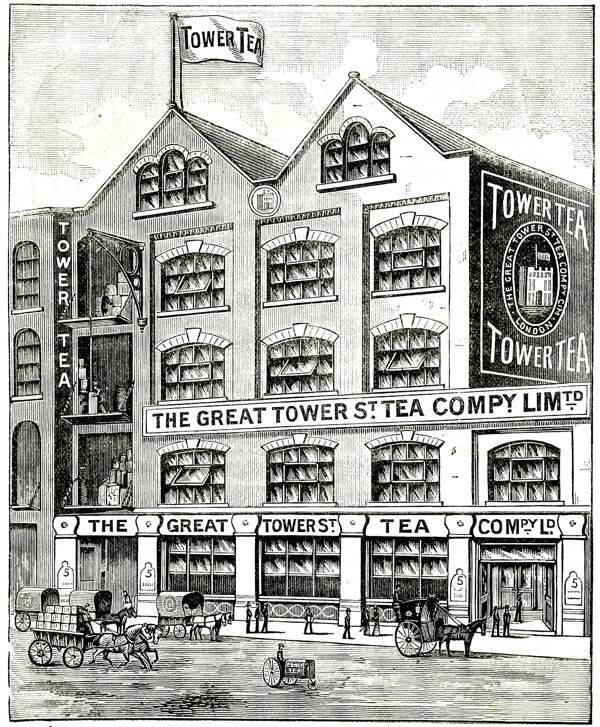 The Great Tower Tea Co Ltd, Jewry St - To the enterprise of this firm, the public is indebted for a very marked and widespread improvement in the quality of tea. 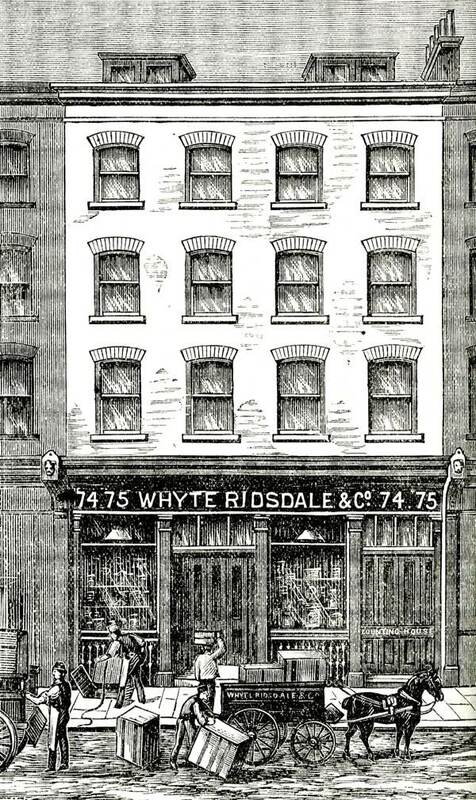 Whyte Ridsdale & Co, Manufacturers’ Agents, Warehousemen & Importers of Fancy Goods, Houndsditch – For over twenty-five years, they have been involved in the business of preparing, collecting and distributing British and Foreign fancy goods, and they have been compelled – more than once – to increase their accommodation and pull down their premises. Still, the increase of their business outstrips the room which the enlarged premises afford and this year is to witness a further large addition to the building they occupy. Mr Henry Conolly, Manufacturing Sanitary Engineer, Tolmers Sq - In connection with the great developments in sanitary science which have taken place during the past half century, no name is better known or enjoys a higher reputation than that of Henry Conolly. 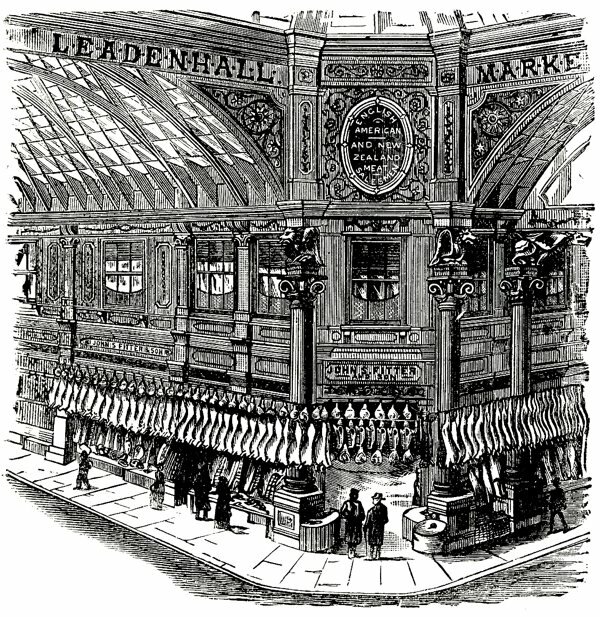 Messrs John S Fitter & Son, Meat Salesmen, Leadenhall Market - Every visitor to the market is familiar with this fine establishment in the Grand Avenue .They were the earliest appointed agents in England for New Zealand and Australian frozen meat and, by their energetic advocacy of this valuable product and the splendid quality of the supplies they placed in the market, they speedily overcame the, altogether groundless and short-sighted, objections which at first met their endeavours to develop this new and useful trade. Royal Rubber Co, Sloane St – Not so very many years ago, the waterproof garment was universally regarded as a necessary evil by travellers and persons whose business forced them to face inclement weather, because of its extreme awkwardness and uncompromising ugliness. Now the celebrated Royal Rubber Co brings forward perfect weather defences, in the form of graceful, elegant, artistic and essentially comfortable items of waterproof attire. H Mallett, Window Blind Manufacturer & Upholsterer, Finchley Rd - After nearly thirty years in the business, Mr Mallett, an expert and skilled workman, took the above premises and developed what has now become the most important business of its kind in London. 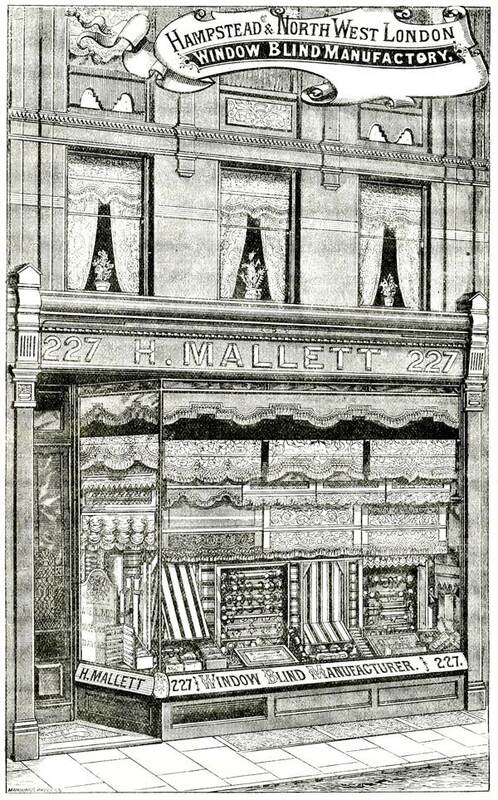 Mr Mallett has shown much ingenuity in introducing many useful improvements and desirable novelties in his trade. 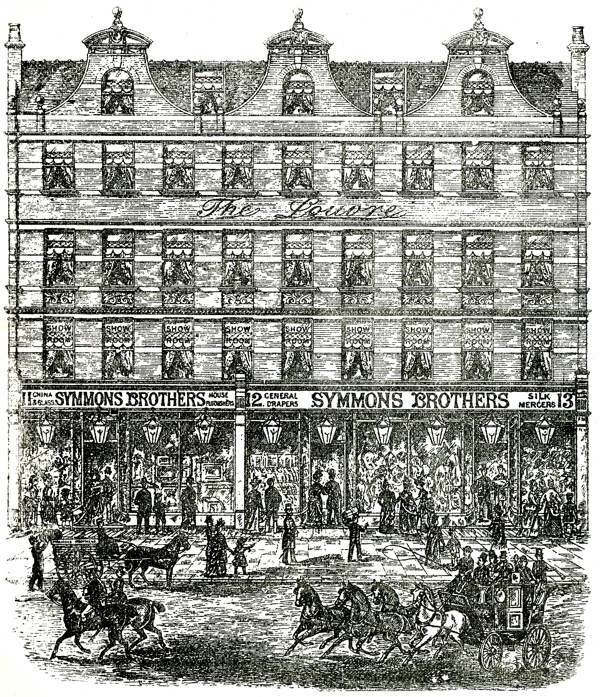 Messrs Symmons Bros, General Drapers, Hosiers, Silk Merchants, Lades’, Gentlemen’s & Children’s Outfitters, Finchley Rd - This establishment is splendidly appointed in the best modern style, served by numerous and highly efficient staff, and stocked with a choice selection of goods, that entitles it to comparison with the leading houses of the West End. 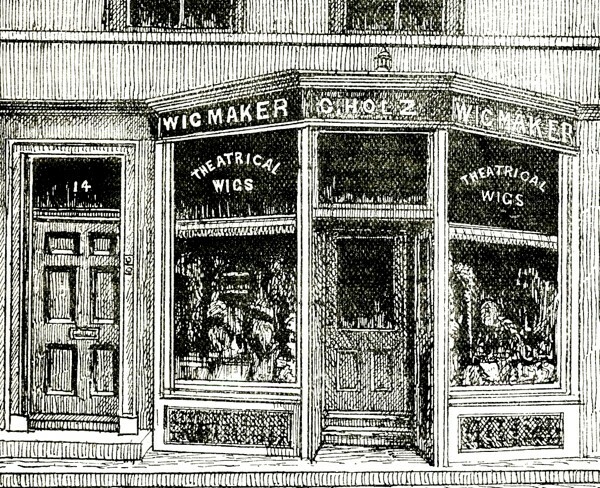 C Holz, Theatrical & Private Wig-Maker, Covent Garden – Although the modern perruquier is not so universally in demand as his predecessor of the ‘good old days,’ he is – if anything – called upon to exercise far greater skill in his art by fashioning wigs which cannot be distinguished from the natural normal head of hair and, among the cleverest exponents of the craft in the metropolis, a place of distinction must unquestionably be accorded to Mr C Holz, who entered upon his present prosperous career in Fulham twelve years ago and subsequently migrated to his current, eligibly situated, premises to give full scope to a rapidly-expanding business. 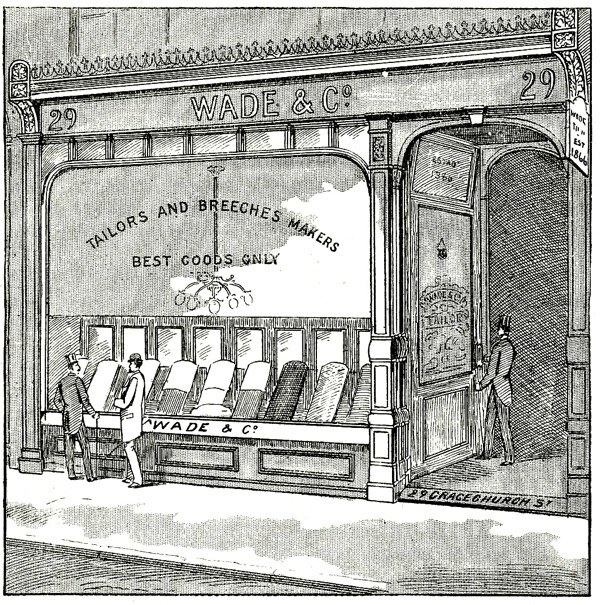 Wade & Co, Tailors, Habit & Breeches Makers, Colonial & American Outfitters, Gracechurch St – The founder, Mr Zachariah Wade, attributes its success to the recognition and application of the principle of cash payments applied to the production and sale of best goods only, a principle hitherto associated with what is known in the trade as slop-made articles. Lighted with electricity, goods now may be selected during a London fog with almost as much satisfaction as upon a bright sunny day. They all look as they are built to last, with architecturally distinctive premises and names proudly displayed – such confidence in the future! Interesting blog as usual – thank you. Oh, the memories that are stirred by seeing the name Allen & Hanburys! 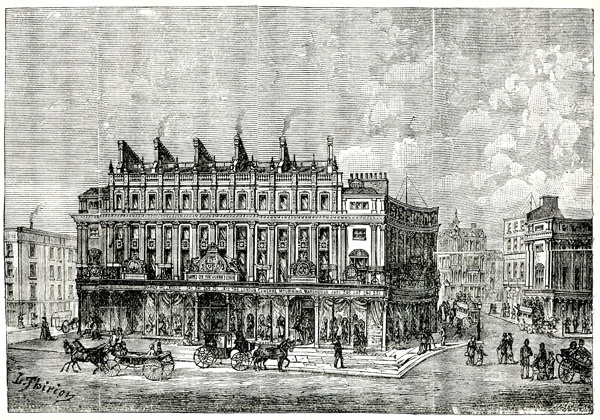 The mourning industry was hugely popular in victorian times and such lucrative emporiums occupied numerous prime locations along Regent Street in positions which today house London”s flagship stores. Whyte Ridsdale & Co moved to Stratford Market. We bought consignments of toys from them which they imported direct from Hong Kong, We were trading with them between 1960 and 1980. We had a toy shop which we ran alongside our printing & stationery business. As previously – who’se left? See also Gary Arber’s comment – thanks. 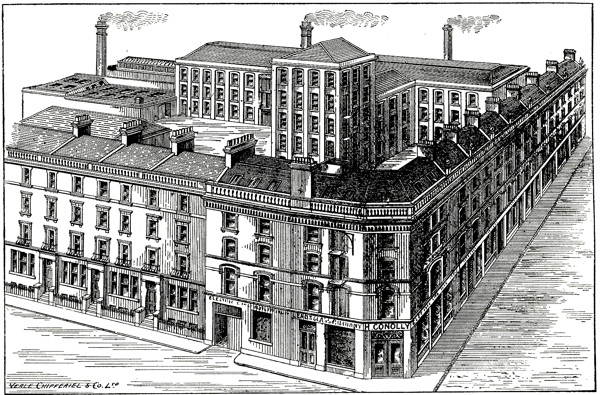 Allen & Hanburys only moved out in the late 1970′s IIRC … who else is still around? 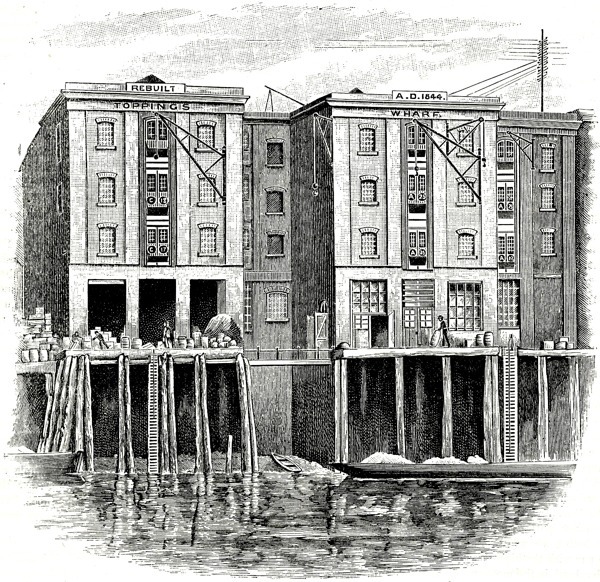 The name/location: “Topping Wharf” remains, though Toppings are long gone…. More that the previous selection at any rate! In his earlier career my grandfather worked for H R Mopsey & Co. He patented a liquid chocolate dispensing valve and I have a picture of him standing by what I believe to be a chcoolate pouring machine labelled H R Mopsey & co. He went on to patent clips to facilitate the mass process dipping of photgraphic films for Ilford and ran his won business producing the clips et al.. I lived with my grandfather for most school hoildays from 1955-1959. He and his sons referred to his (their?) time working at Mopsey’s engineering deopartment with great respect.